If you are a fellow blogger and looking to grow your fan base, this is the perfect opportunity for you! 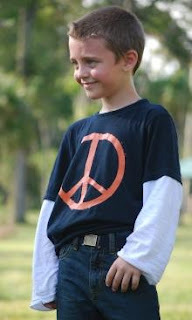 I am looking for friends to "Pal" up with DnBuster and I for a MultiBlog giveaway, coming up in May! The best part about this giveaway is that each entry fee is only $1 per entry method! You do not need to be a blogger to sign up! The prize for the winner of the Giveaway winner will be $100 via PayPal! Since the prize is PayPal, winners and signups can be WorldWide! 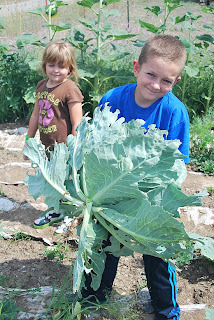 A Frugal Way to Bring the Farm to Your Table - Plant a Vegetable Garden! My kids look forward to planting their very own garden every year! It has been our tradition for many years, to plant a vegetable garden on Memorial Day. 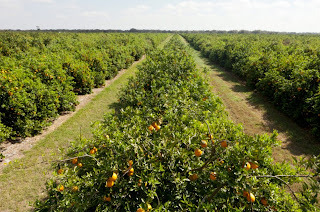 It is a frugal summer activity that helps us bring the farm to the table. They love picking out seeds, helping get the garden ready and planting it. Planting a vegetable garden is always fun. The kids take pride in their garden and do a great job planting the seeds and labeling each row. Not only do we grow our own veggies, we grow our own meat as well, cows and pigs! We also have a friend who has chickens, we get most of our eggs from her! The rototiller that my husband uses used to be my grandpa's. I remember him using it in his garden when I was a kid! Planting a garden is so much more that just a garden. Not only is it fun for the kids but it is also a valuable learning experience. It teaches them responsibility: they have to water, weed and care for the garden in order for it to grow. It teaches them about home farming and its benefits: fresh, organic vegetables that are delicious and healthy! It teaches them about community: they enjoy filling their wagon with their fresh picked vegetables and walking to the neighbors house to share their veggies of love! It teaches them about teamwork and family: look at what we can accomplish when we work together as a team. Plus, it is always a fun way to spend valuable time together with them, making lifelong memories! How do you bring the farm to your table? Tintin and his loyal dog Snowy, embark on an action packed journey around the world! "The Adventures of Tintin follows the exciting exploits of a young reporter, his dog, a sea captain with a drinking problem, and a couple of bumbling Interpol detectives as they travel from Europe to the Sahara and Morocco in pursuit of a pickpocket, model-ship collectors, and long-lost treasure." I loved Tintin as a child, and was excited to share the experience with my children. Until watching The Adventures of Tintin, my two children didn't know anything about this amazing duo or the Tintin books. The entire experience was new to them, and they enjoyed every minute of it! My daughter is eight years old, and she instantly fell in love with Snowy. 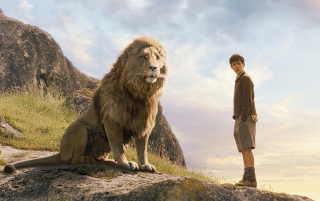 The movie was exciting, fun and full of adventure! The animation, voices, and amazing effects were simply phenomenal! 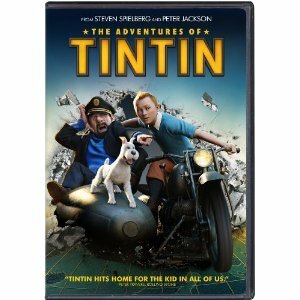 The Adventures of Tintin is a wonderful movie, and one the entire family will love. 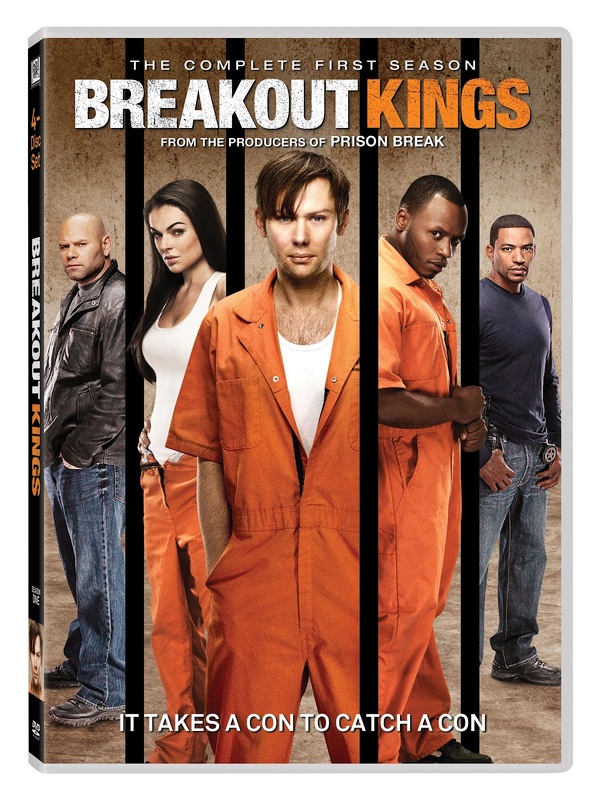 We can hardly wait for the sequel to come out so we can add it to our collection! 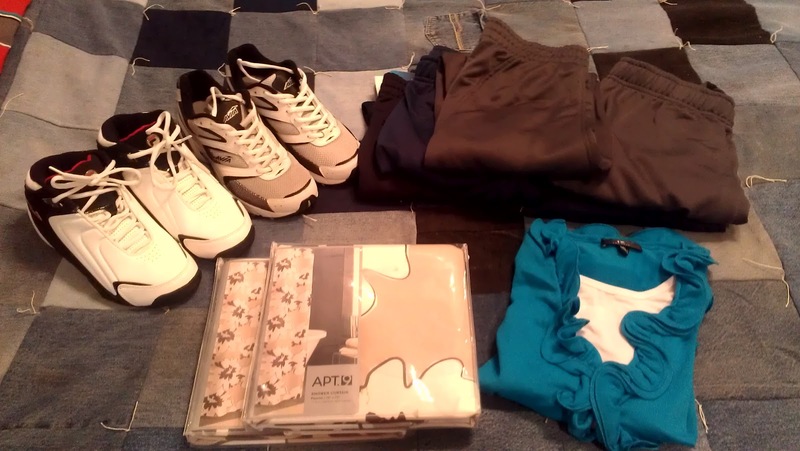 Kohl's is one of my favorite stores to shop for clearance deals, especially clothes for my two children. I always find the greatest deals and highest savings, making it a frugal way to keep my children in the latest fashions and looking their best. 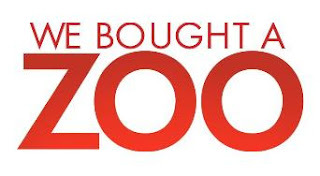 Do you shop at Kohl's? Lack of access to books and educational materials is a major problem in the United States, especially in underprivileged communities. And, forty-two percent of children in the United States — more than 30 million — live in low-income households and don’t have age-appropriate books at home or at school. * Cheerios recognize access to books as one barrier to literacy development, which is why it continues to distribute quality books inside boxes to children nationwide. To help put books into the little hands that need them most, Cheerios will also give 50,000 children’s books and $300,000 to First Book, an award winning literacy nonprofit. Worms, monsters, zebras and hippopotamuses are only a few of the imaginative children’s book characters to appear in specially-marked Cheerios® this year as part of the Cheerios Spoonfuls of Stories® program. Through the program, which is celebrating its 10-year anniversary this spring, Cheerios distributes six million bilingual children’s books from award-winning authors free inside cereal boxes. Tuesday in Los Angeles, actress and mom Jennie Garth kicked off the anniversary celebration at a special reading event with the Mayor of Los Angeles. Similar events will be happening in cities across the country over the coming weeks. Do you want to earn points that you can redeem for cash, prizes and gift cards? What if I told you is was as simple as spinning the super lucky button, clicking daily emails, completing tasks and inviting friends? Earning money online with Superpoints is easy and rewarding! Superpoints is fun, free and easy! Superpoints rewards you for doing the things you do online every single day! Superpoints is a great way to earn money online, but is by invite only, so join me TODAY! I know you'll love it as much as I do! It might not seem like much, but your credit score affects so many different things like buying a car or a house. Is 2012 the year that you will clean up your credit score, and get back on track? In today's difficult economic times, it is more important than ever to know and protect your credit score. With identity theft on the rise, even the smallest issue can create a big problem. Everyone has 3 credit scores but it only takes one bad score to ruin everything, including your chances of getting a home or auto loan. Knowing your score, and raising your credit score fast could make a world of difference. Being able to manage your debt by paying bills on time is critical when it comes to your credit score. Spend wisely, pay on time, and know your limits! As a younger student, I always thought it was so cool that the older kids had school lockers! As I would walk past on my way to lunch or recess, I thought of how I would organize and decorate my locker when I finally got one! I remember the first day of junior high and how I was so excited to get a locker of my very own. In high school, boys would get angry and punch the steel lockers. I always thought that was one of the dumbest things to do, what good will hurting yourself do? Now it seems that there are lockers everywhere you go, in the Kindergarten classroom, at the gym, and even at the local waterpark! Each of my children have a foot locker in their bedroom and it is where they keep all of their "special" items that they want to keep safe. My son has his filled with sports cards and memorabilia, while my daughter has hers filled with dolls and stuffed animals! Lockers are the ideal storage solution and space-saver! Whether at home or in the classroom, being able to maximize space and keep things organized is essential! We have a cubby system in our playroom, and it is the perfect way to keep my children's toys neat and organized. In addition to keeping the space tidy, it also makes finding their toys quick and easy. 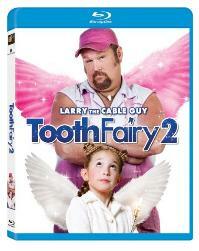 TOOTH FAIRY 2 arrived on Blu-ray and DVD on March 6 from Twentieth Century Fox Home Entertainment. The one man comedy phenomenon, Blue Collar Comedy Tour’s Larry the Cable Guy (Cars, Cars 2, and History Channel’s Only in America) sinks his teeth into this outrageous follow-up to the 2010 theatrical hit Tooth Fairy. We watched Tooth Fairy 2 last weekend and it's a great movie. 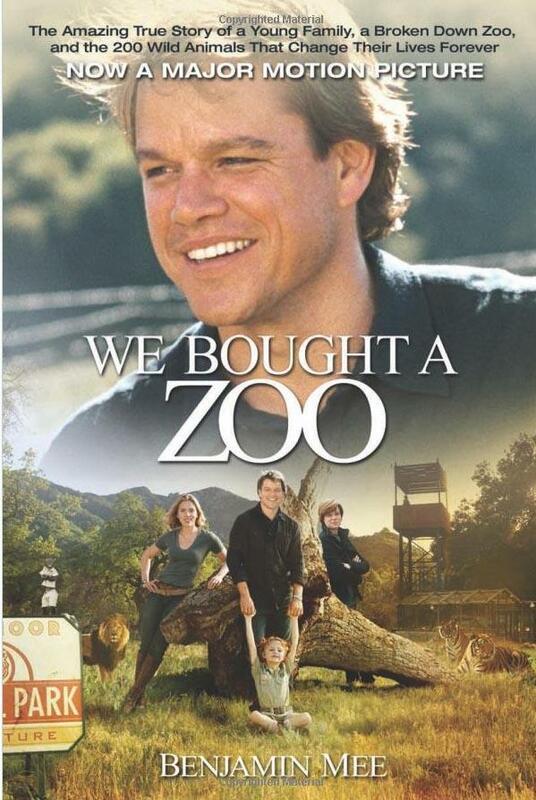 Funny, entertaining and a movie the entire family loved! How would you like to share a great giveaway on your blog, and gain Facebook followers in return? Join me in a FREE Blogger Event being sponsored by The Ultimate Baby Shower! 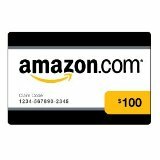 You can have your Facebook link added for FREE, and she is providing the giveaway prize, $100 PayPal! Use this Magic Cabin coupon for 15% off $65+ order (with code LNKMC15, expires 3/31/12). You can also earn Cash Back for more savings on your purchase! The rate today (3/21/2012) is 4%. Save with a Smile Makers coupon to get 10% off any order (with code SAVE10, expires 3/31/12). You can also earn Cash Back for more savings on your purchase! The rate today (3/21/2012) is 7%. Score some savings with an I See Me coupon for $5 off your $20+ order (with code HOP, expires 3/30/12). You can also earn Cash Back for more savings on your purchase! The rate today (3/21/2012) is 5%. Freebie alert! Get a free Big Bird tee shirt with a $75+ order using this Sesame Street coupon (expires 3/27/12). You can also earn Cash Back for more savings on your purchase! The rate today (3/21/2012) is 4%. Get exclusive savings with this Gummy Lump Toys coupon: 15% off any order (with code BEFRUGAL15, expires 12/31/12). You can also earn Cash Back for more savings on your purchase! The rate today (3/21/2012) is 6%. 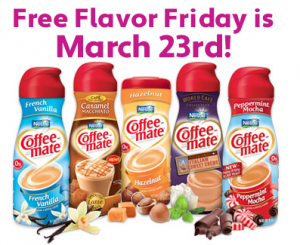 Coffee-Mate is celebrating their Facebook fans on Friday (3/23) by giving the first 200,000 fans a coupon for a FREE bottle of Coffee-Mate creamer! Offer good in the US only, valid for the first 200,000 valid free coupon requests on March 23, 2012, starting at 9 am PST until 11:59 pm PST or while supplies last. I want to thank everyone who entered my $50 Experience Days Gift Certificate Giveaway. I would also like to thank the giveaway sponsor for providing this great giveaway for my readers. 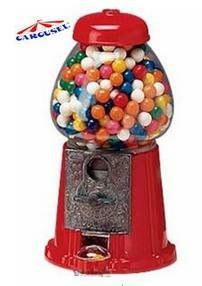 Gumball machines are fun, decorative and versatile! They aren't only for gumballs - my kids love putting jelly beans in theirs too! They also get very excited when the coin compartment is full and they get to count the money inside. Added bonus: Gumball machines are a great learning tool and they have fun! It may be tax season, but don't let that stress you out! I'm confident that you’ll be getting great returns this tax season, especially with products like these. With this set of free stationery and organizational tools, you’ll be set to get your paperwork and taxes in order in no time. These products make it easy for you to jot down notes, calculate sums and organize your home office. Plus, each of these free products can be tailored for you. With a wide variety of customization options you’ll be able to personalize your items however you’d like. Whether you’re personalizing a pen, notebook or sticky notes, you can choose the design you love best and add your own message. The products are absolutely FREE, you only pay shipping. Purchasing your own home is an enigmatic feeling. There are various ways to buy a house: ready money, rent to own or obtaining a mortgage. The majority of individuals go for a mortgage and for a number of good reasons. It’s an excellent way to build a good credit history. Moreover, it takes a long time to save cash, while a mortgage will help you in buying your new house almost instantly. However, there are several things to consider while deciding to take a mortgage. Managing your debt accurately must be your first concern, since a mortgage debt that has become unmanageable could have very serious consequences for the home proprietor. Thus, make sure that you reflect on your long term goals and programs, ahead of deciding on the amount of a mortgage that you can handle. While you might look for various ways to come out of your mortgage debt problems, you often neglect the option of saving a little cash through frugal living. 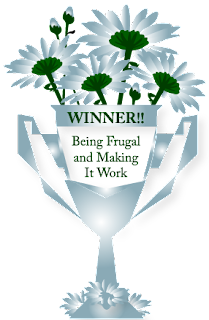 Following are a few frugal living tips to help you save money and triumph over your mortgage debt problems. Reside in a small home – Bigger houses cause bigger expenditures. A majority of the individuals think of the rent of the home, but bigger accommodations mean usage of more electricity, and normally require more furniture and futile decoration objects. Frugal individuals prefer residing in a small house and avoid gathering “junk” items in their domicile. Furthermore, a small cabinet means spending less on outfits. The money you save can help you in paying off your mortgage loan. Keep away from splurging – Many people already use their disposable earnings to comfort themselves, but they might not be executing this in the most profitable way. Instead of making expensive purchases, try to invest in things that you use everyday. Even though they’re not as ostentatious a purchase, it’ll make you happier in the coming days. It’s pretty simple to get acquainted with the custom of retail therapy for products you need occasionally, but you often forget the consequences of buying high-priced goods on your daily existence. 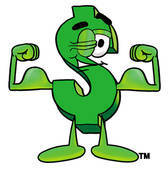 Save some cash every month to repay your mortgage loan. Try doing it yourself – When something gets broken and you don’t have the cash to mend it, find out a way to do without it. When your laptop crashes, you could borrow one from your friend for a few days, instead of buying another notebook. If you need to color your hair, consider doing it at home instead of going to a beauty parlor. In case you smash your tea kettle, make use of a saucepan to boil water. In a majority of the cases, you’ll always find a means to live without something. Avoid eating out - This is surely one of the most essential money saving tip. According to a recent survey, an average family spends nearly $500 per month simply eating out. Dining out with your friends or family is real fun, but it actually takes a toll on your monthly savings. This is one of the biggest reasons behind debt. Instead of eating out, just invite your friends at home and you all could prepare a meal together. In addition to being healthy, it helps you in saving a considerable amount of money. This cash can be used to eliminate your mortgage debt. 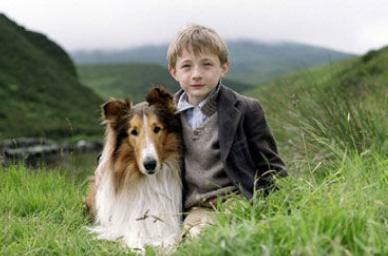 I've always been a pet lover, growing up, we always had a dog. We currently have two big dogs, both mastiffs, that are almost as spoiled as my children are. Our dogs are not just pets, they are a part of our family. Keeping our pets happy and healthy is as important as my family's well-being. Making sure my pets are up-to-date on their vaccinations is one of our top concerns. 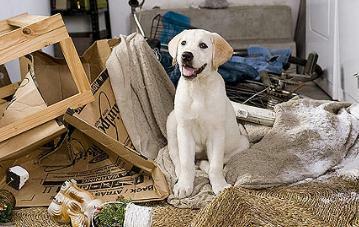 In addition to making sure that they are free of any other common issues that can affect them, such as fleas and ticks. Did you know that just one female flea can produce up to 50 eggs per day? Comfortis works hard to kill fleas before eggs are laid, which offers the best protection your dog! Comfortis comes in a convenient chewable tablet, making it easy to give to your dogs. It also begins working in just 30 minutes, and within four hours your dog will be 100% flea free! Comfortis is safe and effective, and can be used on puppies as young as 14 weeks. There is a dosage that is perfect for your dog, whether it weighs less than 10 pounds or more than 125 pounds, like both of my lap dogs! Is pet health important to you?